Before I answer let me ask you, would you choose to stay bankrupt? Would you choose to live life just getting by? Do you think or believe that YOU have to stay in the valley? Do you realize that YOU can become more? More than who you think you are, more than what you have, more than what you are doing right now. What If I said to you it were possible for you to have anything you wanted, would you believe me or say to yourself it is not possible? You don’t believe me, look at the device you are using to read this. Are you on a computer, tablet or phone? What brand is it? How did you get it? Still don’t get it? You decided at some point “this device is what I desire” and you got it. and for you smart arses at work, did you not choose that job? smart arse! You can apply that same desire to anything! The problem is you haven’t made the choice, and by not choosing, you find yourself in the same place which consequently is by choice. So you ask how could I be living at the peak if I am bankrupt? SIMPLY PUT… I CHOOSE TO! My choice is to have more. My choice is to be someone more than I have been. My choice is to live life more. I am talking about everything. If I decide I want to go for a walk, I am going to make sure I really walk and see everything around me. If I decide I want to laugh, I am going to really make sure I laugh until tears come out and my stomach aches. If I choose to do anything I am going to make sure I get the full experience to my best ability. Waking up with no money and gaining 14 pounds was a dreadful experience that I am so grateful for because I WOKE UP! Some people lose all their money and immediately choose to jump of a cliff but I WOKE UP! Some people gain pound after pound and are fine with it but I WOKE UP! 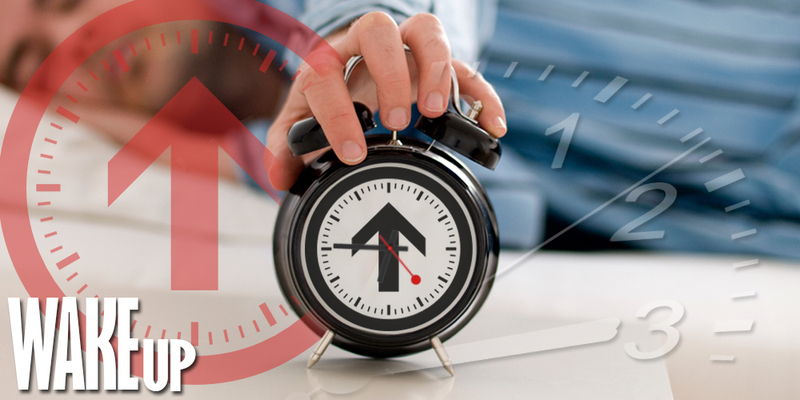 When will you wake up or are you going to keep hitting the snooze button?